At Fabiia, we cannot help but marvel at the creative thought that goes behind forming Rattan furniture. 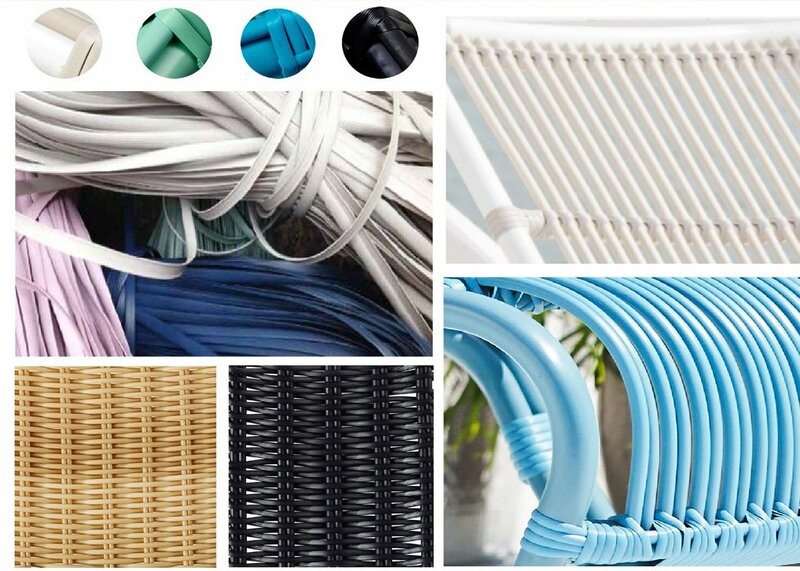 A transformative process, rattan goes from raw strands of fibre into the most fluid chairs, sofas and tables. These pieces might grace the interiors of your homes or sit proud in sun-kissed backyards, amidst sprawling green lawns. When it comes to furniture that lasts, and lasts LONG, Rattan absolutely takes the cake! A light, climbing palm, both flexible and durable, it grows primarily in Asian countries like Indonesia and the Philippines. When cut into sections these strands can be moulded or woven into any shape to create, amongst other things, spectacular furniture. 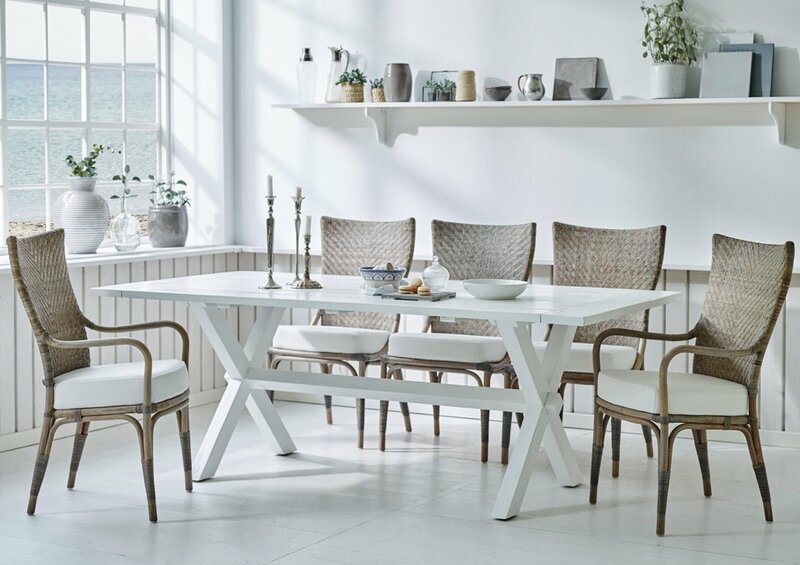 A versatile material, Rattan caught the fancy of some of the biggest names in design. Shown above is the Paris chair by Danish design maestro, Arne Emil Jacobsen, created in the year 1925. He went on to win a silver medal for it at the Exposition Internationale des Arts Décoratifs in Paris. Simply titled ‘Ottoman’, this design by Franco Albini looks almost effortless in its obvious simplicity. Albini, an Italian architect and designer, created this piece in 1951, making its legacy span well over 60 years now! The Ottoman pictured above in blue is part of the Exterior collection – pieces created especially for the harsh outdoor environment. 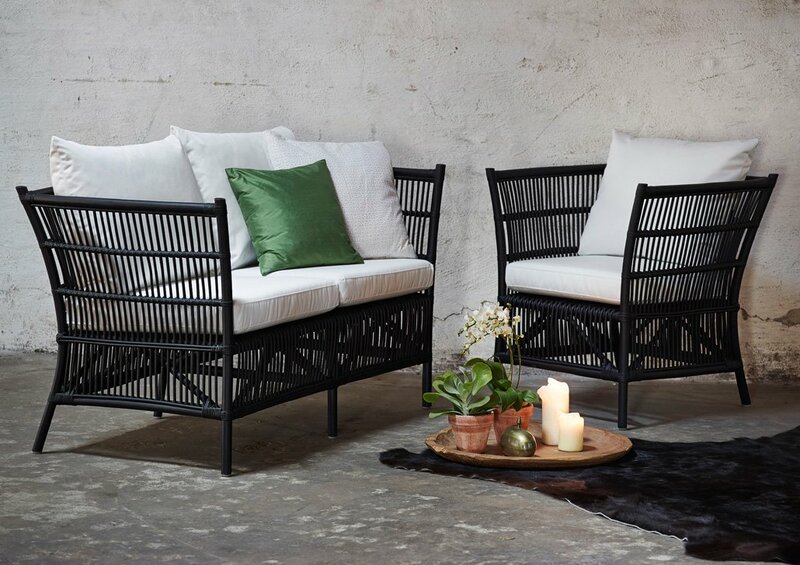 Though sturdy, Rattan cannot withstand daily exposure to the elements. To combat these shortcomings comes the innovative Alu-rattan and Artfibre materials. The ingenious combination of a mouldable aluminium base with flexible polyethylene cords, lends you a material strong enough to battle rain, sunlight and frost. 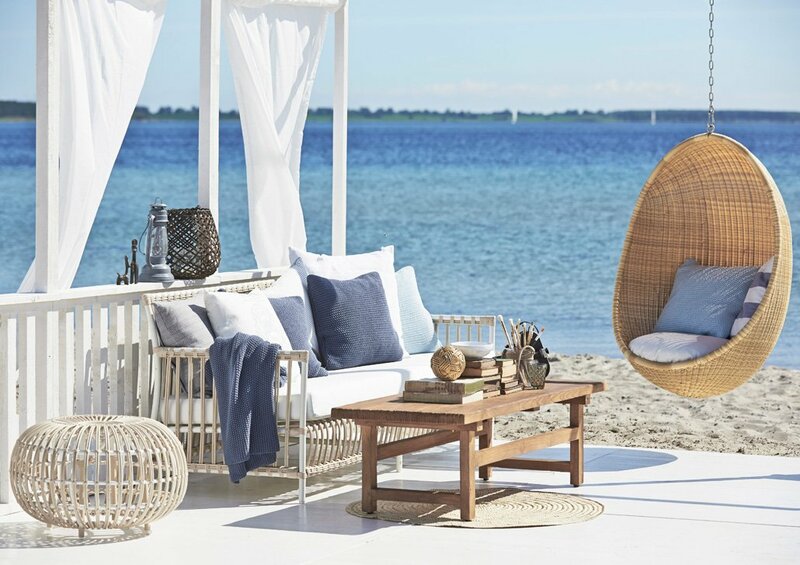 The perfect solution to bring your favourite rattan designs into the outdoors! Now, when you have your favourite chairs picked out, you’d need a table to tie it all together wouldn’t you? Time and again we get asked – ‘What table would best suit my rattan chair set?’ – and we always answer with – Teak, teak and more TEAK! 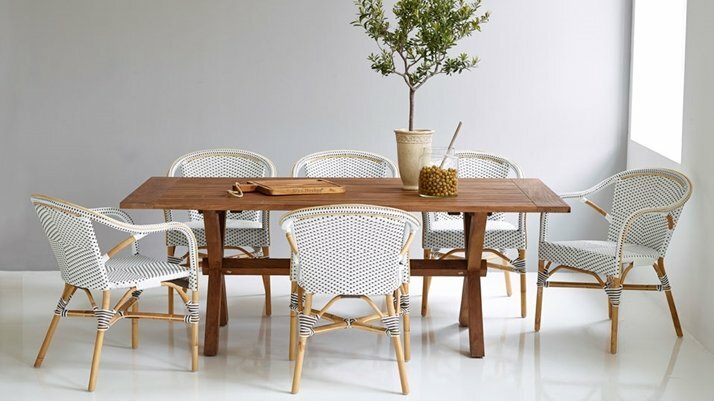 Teak wood tables perfectly complement the varying shades of Rattan and Alu-rattan by adding a warm, woody accent. 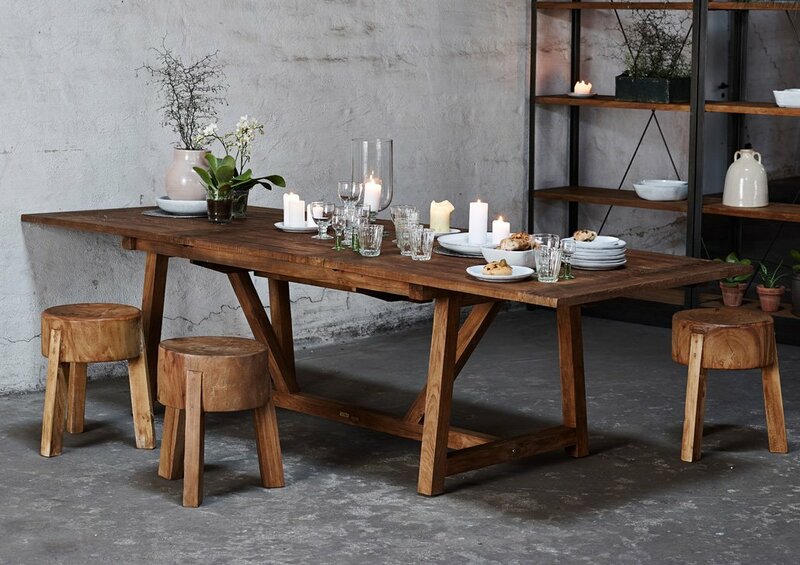 Up-cycled from the aged wood of old houses or fishing boats, the tables each have a story to tell and are formed in a Rustic style. 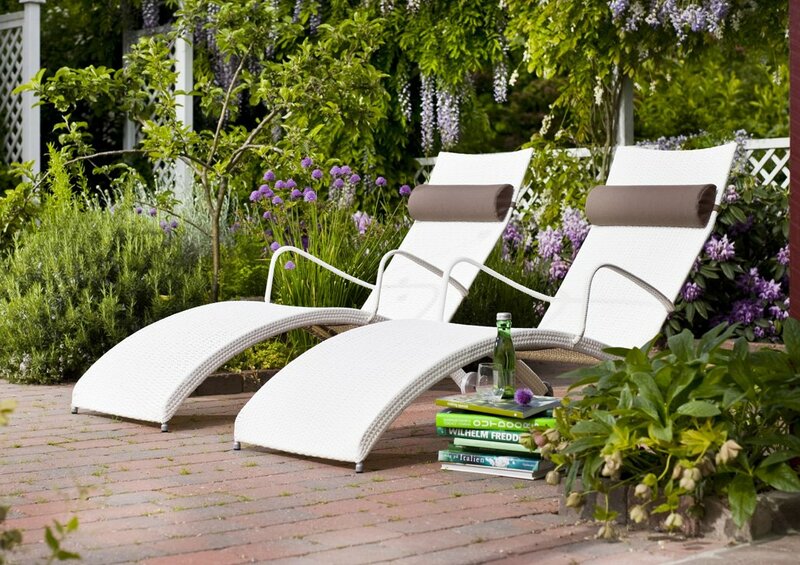 The Teak collection is ideal for both, indoor and outdoor seating areas. They take on a grey patina sheen once left in the outdoors for a few weeks, giving them a novel appearance. The best part about Rattan is that it works beautifully with other upholstered pieces despite its unique demeanour. 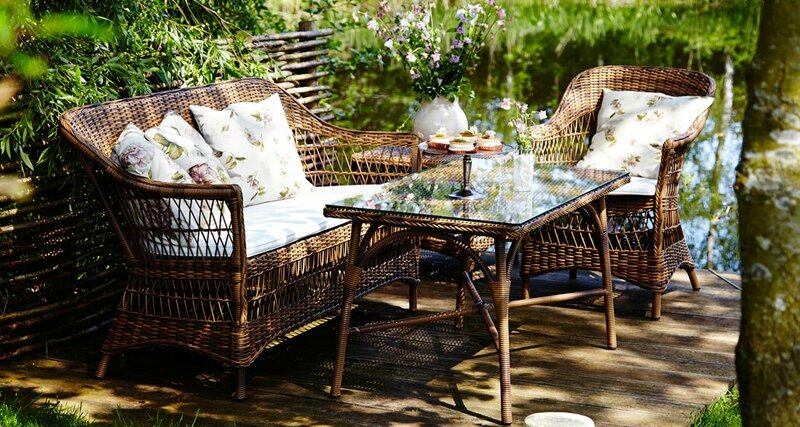 It’s no wonder Rattan furniture designs have been around for centuries and are most definitely here to stay! At home, in a hotel, on a cruise ship or a café – choose from different styles to suit all kinds of surroundings. Anything catch your eye? Give us a ring to know more! This entry was posted in Fabiia Ideas, Furniture, Inspiration, Scandinavian Design and tagged bamboo furniture, cane chairs, cane furniture, Designer Rattan Furniture, fabiia rattan furniture, indoor furniture, poly rattan furniture, rattan furniture near me, Rattan Garden Furniture, Rattan outdoor furniture, Wicker furniture.